The world’s longest high-speed rail line was opened yesterday in China. The 1,428-mile line from Beijing to Guangzhou commenced operations on December 26, and immediately reduced the travel time by rail between the two cities to an impressive 8 hours, from the previous duration of nearly 24 hours. The dramatic improvement is made possible by trains that that are capable of travelling at 186mph, as they journey through five provinces and visit thirty-five cities. State news claims that 155 pairs of trains will operate on the route every day, but older trains will also remain in service. However, the massive project has not been without its problems, with a bullet train crash claiming forty victims, heavy rain causing a section of rail to collapse, and corruption leading to the sacking of one official. The project’s cost has also been astronomical, and the railway ministry is one of China’s heaviest borrowers, believed to be GBP190bn in debt, and having lost GBP874m in the first half of this year. Although the total cost of the line has not been revealed, the section between Wuhan and Guanzhou was reported by the Chinese media to have cost in the region of GBP11.56bn. The high cost of the line means that travellers will be made to carry the burden in ticket prices. Standard seats cost GBP86, while business class tickets cost GBP270, more than a month’s wage for an average Chinese worker. The opening of the line is only the latest development in China’s on-going plans to expand its rail system. 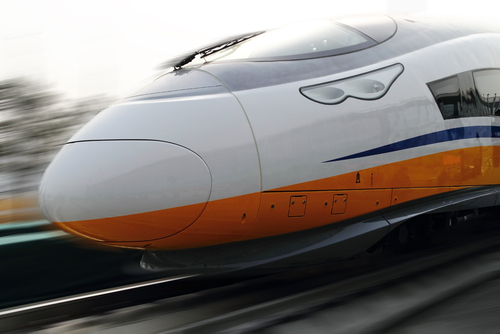 It is intended that the Beijing-Guangzhou line will eventually be extended to Hong Kong.